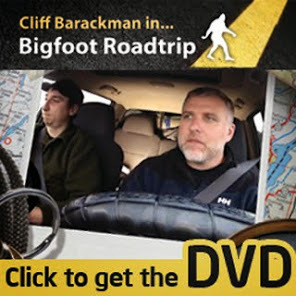 You've always done good work Cliff, but in just my $.01, the rapid-fire calls, in particular episode areas, aren't really needed...if you're close to their territory. Good for a whole area, but too many = phony humans in the room, however I realize silence doesn't make for good tv for the average audience...but your dialog is good, it's not too loud. Around the summer of 77 I was at a boyscout camp,although I was still a cubscout, I was playing in the woods when I heard a noise behind me. I turned around and was a few feet from what I believe to have been a Bigfoot. For a few seconds I was looking into the face of a large, upright, semi-human creature. Long reddish brown hair, darkish face, flat nose big lips dark eyes. It was between two aspen trees. It's hands pulling the trees apart. It simply stood there and looked at me. I looked up at it for a couple of seconds and panicked. I turned and ran down the side of the mountain, back to the camp. I told the counselor whom I guess called the authorities. An hour or so later two men dressed in really nice suits showed up and interviewed me. I can't recall if they identified themselves, but, I remember they where nice. I think out of everyone but my parents. They truly believed me. I don't speak of it much, but, I do know that Bigfoot exists. This was at a camp just outside of Ruidoso NM. I know there are hoaxers out there and always will be. I have no reason to lie. What I saw was not aggressive towards me, yet it scared me to the point of terror. I was 11 at the time and this thing was freakin big.